Unrivalled mobile leader Smart Communications (Smart) is expanding the coverage of its Surf Abroad 550 data roaming package to cover more than 110 countries around the world — the widest data roaming network available to Filipino travelers today. Moreover, Surf Abroad 550 is now available as a fully automated service for Smart Postpaid subscribers for a worry-free data roaming experience. Smart’s improved data roaming offers cater to a growing market of young travelers, often referred to as “millennials,” which are increasingly traveling for leisure in other countries given new overseas routes and lower airfare promos made available by local airlines. “Now, all users have to do is turn on ‘data roaming’ on their data-enabled phones and they will instantly be connected to our preferred roaming partners in that country. No more need to register via text or call our roaming hotline. This is part of our commitment to allow our subscribers to live the ‘Smart Life’ even while traveling overseas,” said Tina Mariano, Global Access and International Services head at Smart. From just 57 countries in 2014, Smart’s data roaming coverage has now been expanded to more than 53 additional countries, including top tourism destinations such as Myanmar, India, Finland, and Luxembourg, among many others. 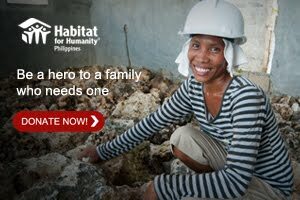 By the end of the year, the list will further be expanded to include a total of 180 countries around the world. The service is expected to contribute to the skyrocketing growth of Smart’s mobile data business, which has already registered a sharp 21% year-on-year growth to reach P4.7 billion during the first six months of 2015. 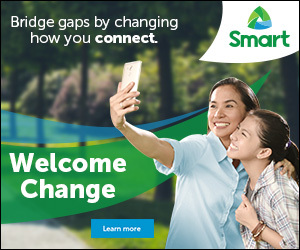 The simple and hassle-free enhancements to Smart’s data offers appeal particularly to millennial travelers, according to Mariano, especially since they are the types of travelers who are always eager to instantly capture and share their experiences online via Facebook, Instagram, and other social networks. According to the 2015 Annual Millennial Travel Habits study by global travel search site Hipmunk, Internet connectivity ranks among the top amenities most important to millennials whenever they book their flights or hotels abroad. Around 43% of millennials surveyed by Hipmunk, for example, rank fast Internet connectivity as their most favorite hotel perk, while Internet ranks next to entertainment in the list of top in-flight amenities important to them. Available for only P550 per day, Smart’s Surf Abroad 550 will give users high-speed mobile Internet connections in covered countries, valid for one day. The new offer is powered by a network-lock technology that makes sure the service only works on partner networks, and eliminates the hassle of having to manually select a roaming partner whenever a subscriber wants to access data services. By automatically registering to the service with preferred roaming partners abroad, subscribers will no longer have to suffer from “bill shock” when they return to the country. Once the service is active, subscribers will receive an SMS notification informing them that they have already been subscribed to the enhanced Surf Abroad 550 package. For more information on this new offer, visit smart.com.ph/roam.